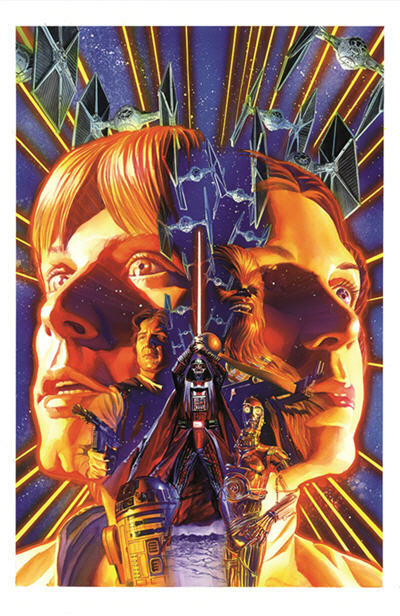 If you are a fan of Star Wars comics, the panel to be at on Thursday of Star Wars Celebration was the Dark Horse comics panel. 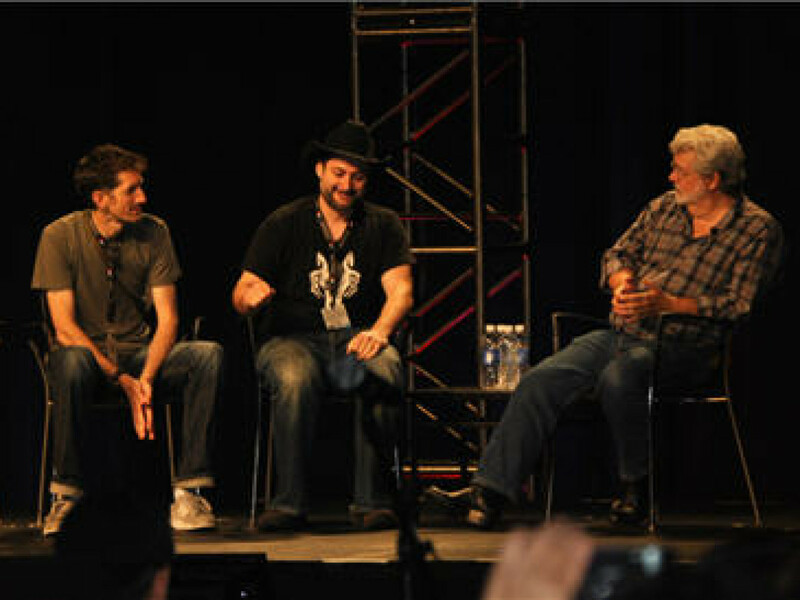 The panel featured some of the best talent that Dark Horse has to offer including John Jackson Miller, Jan Duursema, Doug Wheatley, Dave Marshall, and Randy Stradley and was hosted by expert in all things Star Wars, Pablo Hidalgo. As the panel started Randy Stradley let everyone know that there would be no announcements of new comics in this panel. He claimed that they were saving the announcements for New York Comic Con. He was completely straight-faced and I actually believed him. Luckily for us fans he was kidding (although he kept up the ruse until about 20 minutes into the panel) and there were some exciting announcements and reveals. They started out by telling us about the series that are currently going on or have already been announced. 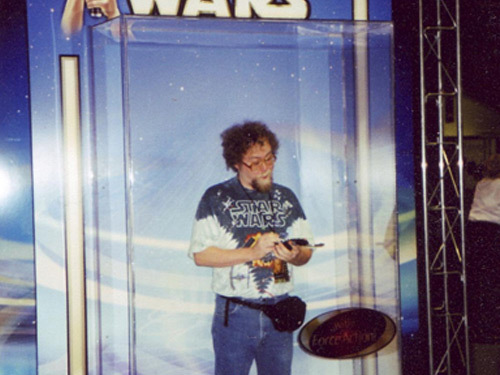 This series takes place 1,000 years before The Phantom Menace and stars young Jedi Knight Kerra Holt. 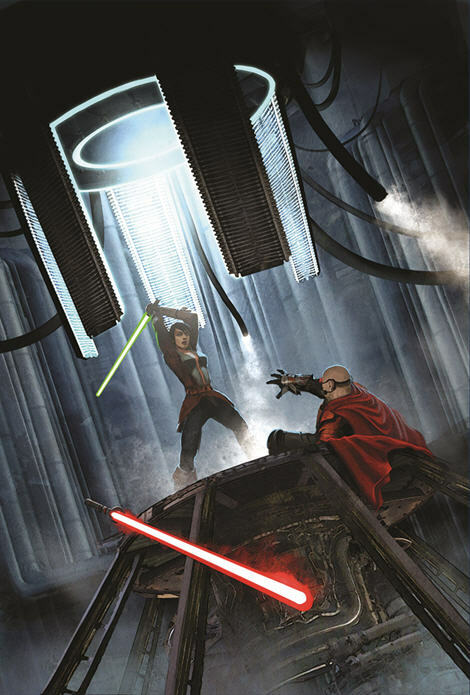 They are starting the third storyline and it will “…take Kerra Holt deeper into Sith space than she has ever been before.” The writer of the series, John Jackson Miller claims this will be the best story in the Knight Errant series so far. “She has found something in this storyline that is very personally surprising for her, that her parents may be alive and in the clutches of Lord Odion.” Issue 4 comes out next month. 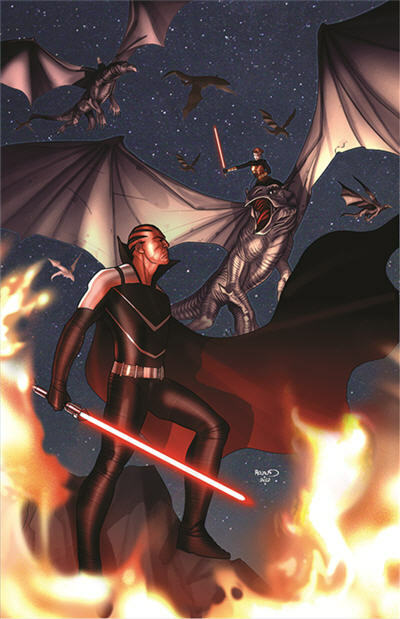 The Darth Maul and Savage Opress team-up comic! 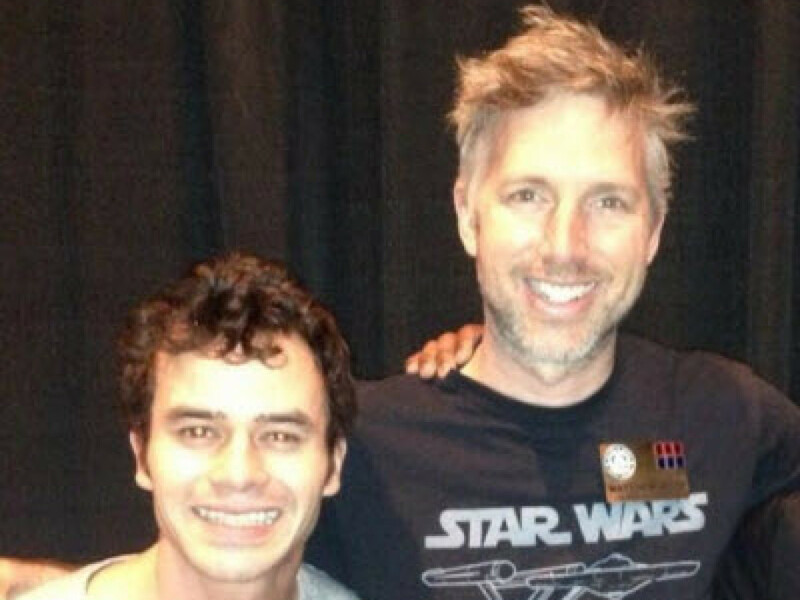 This series is written by Tom Taylor and is set between season 4 and season 5 of The Clone Wars. The Jedi are sent to an out of the way mining planet. 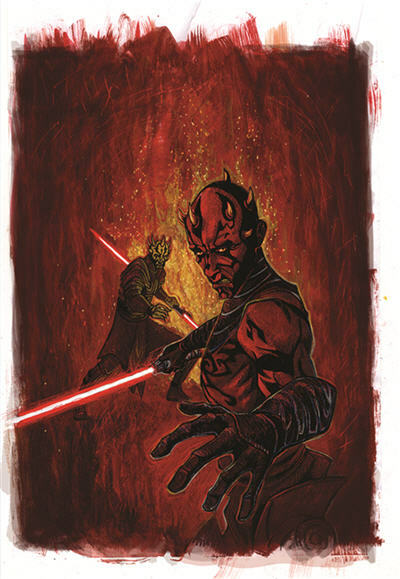 Randy Stradley says, “The owner of the mine has made the mistake of putting a price on Darth Maul’s head, and Darth Maul is going to make the mine owner and his army pay.” Also look for a cameo appearance by Dray from the Invasion comic series. This will be a 4 issue series and amazing artist Dave Dorman will be doing the covers. 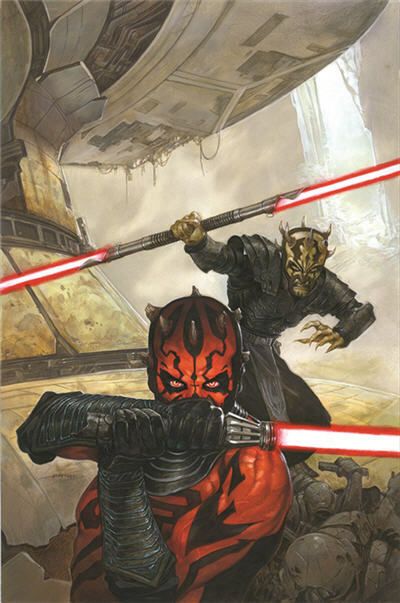 This is a digest sized story also starring Maul and Opress set just before the events of Death Sentence. 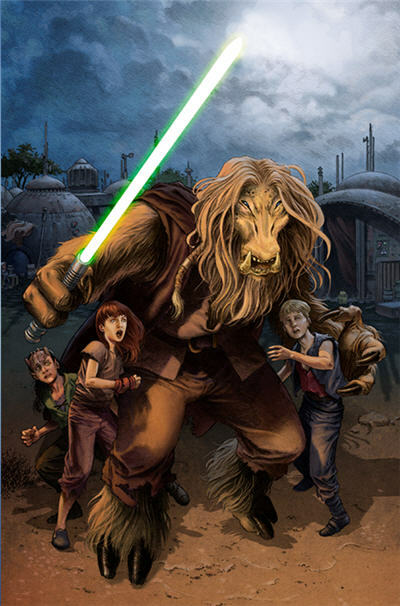 Obi-Wan is chasing the brothers as they cause trouble in the Outer Rim. This was just released on August 15th. This is a series that is currently running. The story takes place a few months after the events of Revenge of the Sith. Darth Vader stumbles upon a prison that was used to hold Jedi and other Force users. Stradley says, “The existence of this prison and the existence of the prisoners leads to a plan to take the Empire back. This series has been called James Bond in Space. 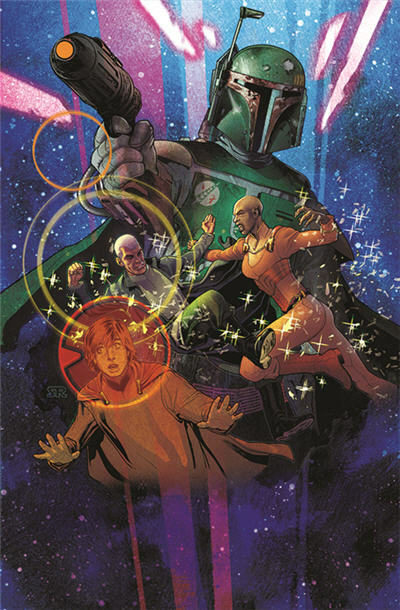 Written by John Ostrander, it follows the story of Jahan Cross who is a sometimes morally conflicted secret agent for the Empire. The series is coming back in October. 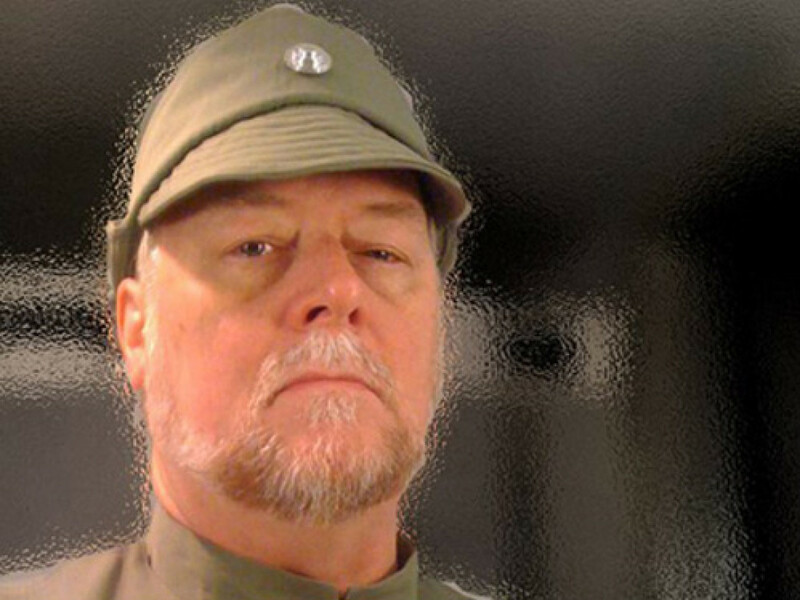 Randy Stradley revealed that the upcoming storyline will feature cameos by Bail Organa, Leia, Winter, Darth Vader, and Boba Fett. The story will feature political intrigue based around the assassination of the Duke of Serreno. This is a current series written by John Ostrander with art by Jan Duursema. The next arc is called Prisoners of Bogan. Xesh, the Force Hound goes to the dark moon of Bogan where he meets a mysterious Je’daii who was sent to the moon long before. They team up and the other Je’daii have to stop them from escaping the moon. The new series starts in November. 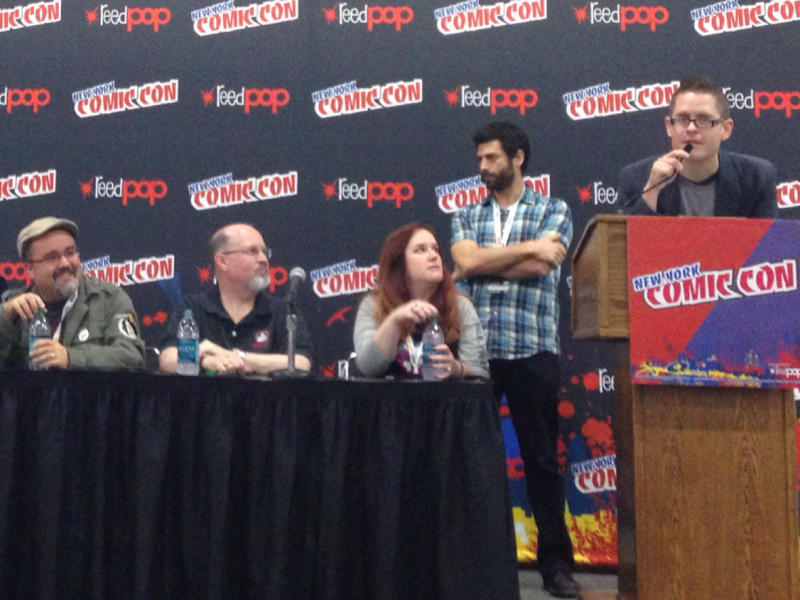 Now for some new stuff that was first announced at this panel including some brand new artwork! They announced the return of the popular series Dark Times to much applause from the crowd. The series will be written by Randy Stradley with covers by Doug Wheatley. 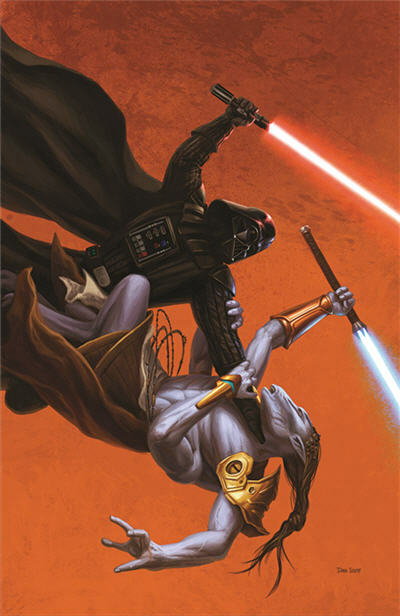 It will pick up where we left off with K’Kruhk and the younglings who were stranded on a planet back in volume 2 of Dark Times. The new story arc will be called Dark Times: Fire Carrier and will come out in early 2013. This will be a two-part story and will continue the series of one shots about Vader trying to wipe out all the remaining Jedi in the galaxy. 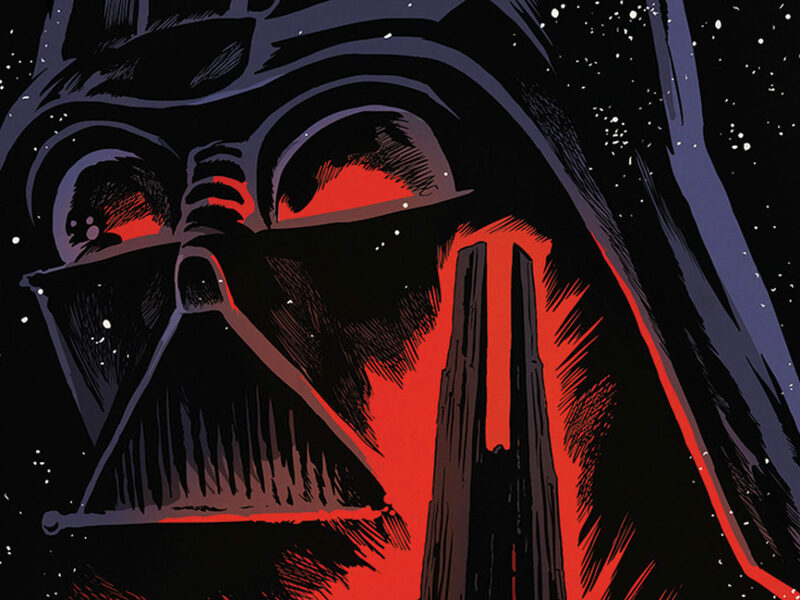 “The story takes Vader to a more primitive planet.. where the Jedi are very rooted in the culture of the people.” Vader will realize that getting rid of Jedi is not just about the Jedi themselves but also getting rid of their ideals. The series will come out in December. This series was actually announced just before San Diego Comic-Con and will start in January. 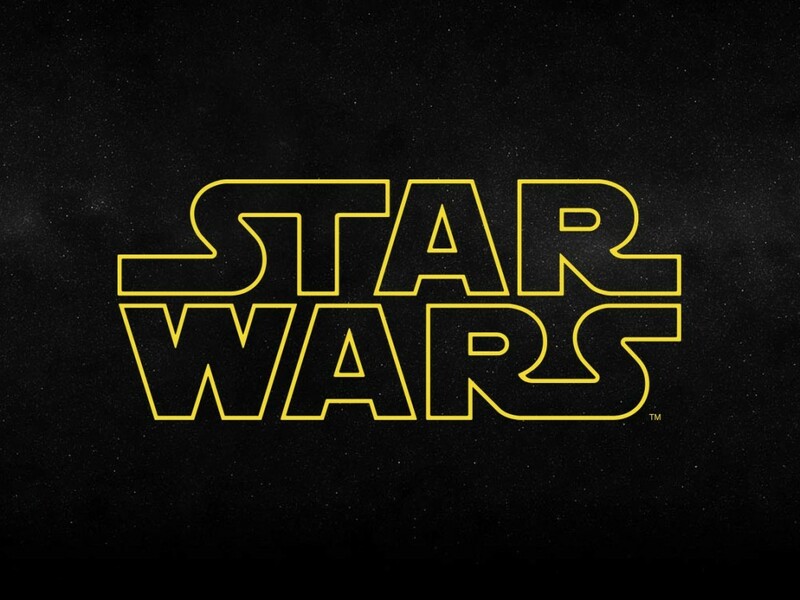 It takes place shortly after the events of A New Hope and will be written by Brian Wood. It will star our heroes from the movies, Luke, Han, and Leia. 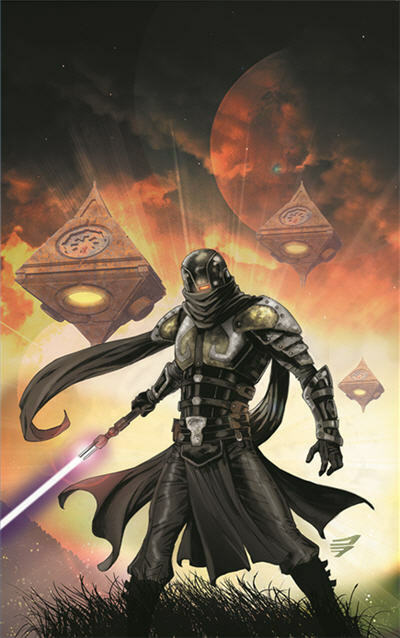 When this series was first announced many people thought it might be the beginning of a reboot of the Star Wars Expanded Universe. Randy Stradley wanted to clear some things up. “Just for the record, it’s not a reboot. We are not ignoring continuity. We’re not trampling continuity. 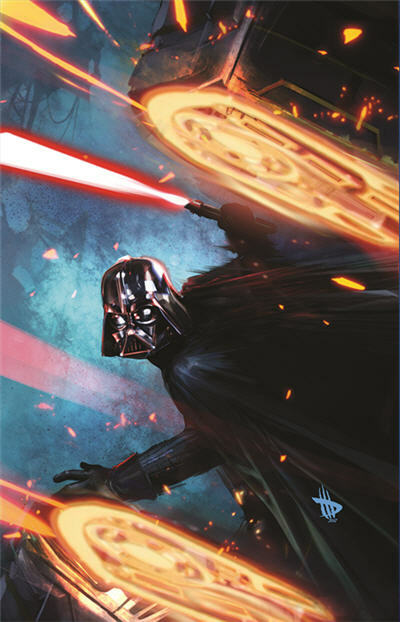 There’s room for new stuff.” Dave Marshall says that this series is a perfect place to start brand new Star Wars comic book fans. 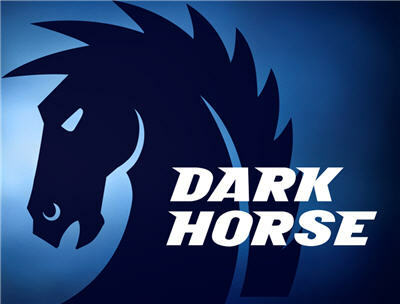 It looks like Dark Horse will continue to bring us great stories and art going into 2013!